Montgomery County has 100,000 more residents than 10 years ago, but the amount of driving in the county has actually stayed the same, says a new study on how people get around. Meanwhile, more people are walking and biking inside the Beltway, and bus ridership is growing well outside it. 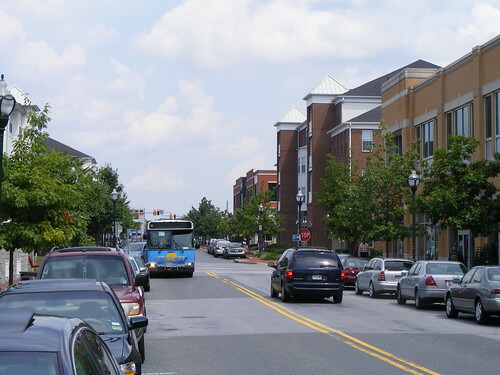 Montgomery County's population has grown, but the amount of driving miles hasn't. 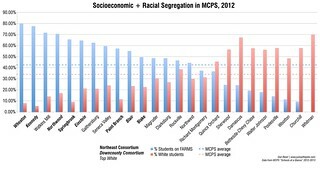 Graph from the Planning Department. 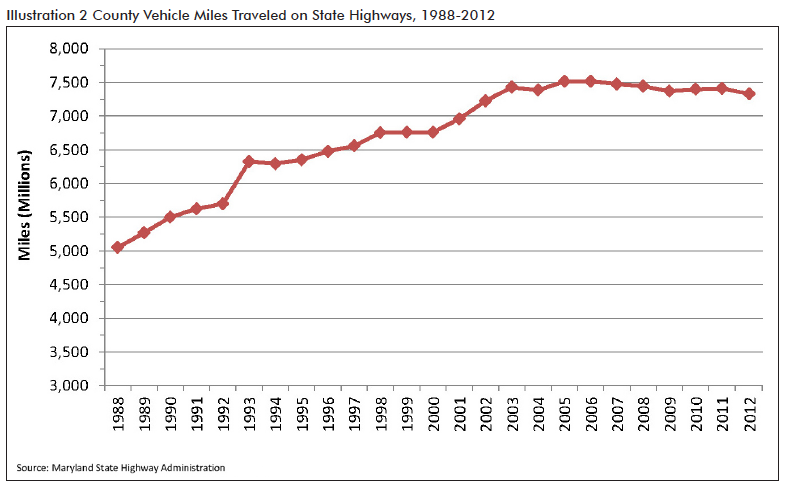 Drivers traveled about 7.3 million miles on state roads in the county in 2012. It's a slight decrease from 2011, but about the same as in 2002, when the county had just over 900,000 residents, compared to 1.005 million residents today. It's in line with both regional and national trends, and suggests that people didn't stop driving simply because of the Great Recession. The results come from the Mobility Assessment Report, which the Planning Department conducts every few years to identify Montgomery County's biggest transportation needs. County planners measured pedestrian, bicycle, and car traffic throughout the area, in addition to looking at transit ridership. Planners counted the number of pedestrians at 171 locations and the number of cyclists at 25 locations across the county, and plan to do more detailed studies in the future. Not surprisingly, the most walkers and bikers can be found in the county's urban centers, including Silver Spring, Bethesda, and Wheaton, as well as White Flint. 9,500 people use the intersection of Georgia and Colesville each day. All photos by the author unless noted. 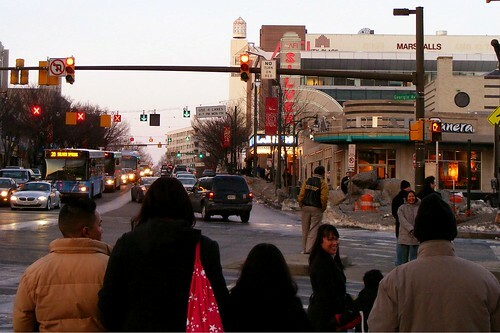 The county's busiest pedestrian intersection is Georgia Avenue and Colesville Road in downtown Silver Spring, with 9,500 pedestrians each day. (By comparison, the intersection of 7th and H streets NW in the District sees 29,764 pedestrians daily.) All of the county's busiest intersections for cyclists were in Bethesda; number 1 is Woodmont Avenue and Montgomery Lane, with 163 bikes during the morning and evening rush hours. Montgomery's busiest Metro stations are inside the Beltway, including Silver Spring, Bethesda, and Friendship Heights, as well as Shady Grove, a major park-and-ride station. 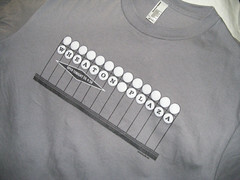 The most-used Metrobus routes are also closer in, like the C2/C4, which serves Langley Park, Wheaton, and Twinbrook and serves over 11,000 people each day, and the J line, which serves Bethesda and Silver Spring. Surprisingly, the county's busiest Ride On routes are now in the Upcounty: the 55, which runs along Route 355 between Rockville and Germantown, and the 59, which serves Rockville, Gaithersburg, and Montgomery Village. These routes all carry between 3,000 and 4,000 riders each day; the 55 is one of the county's most frequent bus routes, running every 10 minutes during most of the day. A Ride On bus in Germantown. That said, transit use in the county has fluctuated in recent years. After decreasing during the recession, daily Metrorail ridership has remained stable since 2009 and fell slightly from 28,504 riders between July 2012 and July 2013 to 27,360 during the following year. About 57,000 people rode Metrobus each day over the past year, a decrease of 6,000 from the previous year. Most transit riders in the county take Ride On, which carried 88,370 people between July 2012 and July 2013. While it's a slight increase from the year before, it's still 7,000 fewer riders than in 2008, when the county made significant service cuts that were never restored. Meanwhile, more people are using the Intercounty Connector, the highway between Gaithersburg and Laurel north of the Beltway that opened in 2012 and will finish construction this year. An average of 30,000 vehicles used the toll road each weekday in 2012, while traffic rates have increased about 3% each month. But traffic on the ICC is still much lower than state officials' estimates, raising the question if it was worth the $2.4 billion cost. It does appear to have taken cars off of parallel roads, like Route 108, Route 198, and Norbeck Road, where traffic has fallen by up to 16.9% since the highway opened. Planners noted several roads that have consistently high congestion, like Rockville Pike, Georgia Avenue, Veirs Mill Road, and Colesville Road. It's no coincidence that these are four of the corridors where both the county and the State of Maryland are studying the potential for Bus Rapid Transit. There isn't a lot of room to widen these roads or build more interchanges, meaning we have to find new ways to add capacity. Trends suggest that Montgomery County residents are driving less and using transit more, at least when it's frequent and reliable. And as the county continues to grow, we'll have to provide more alternatives to driving if we want to offer a way out of traffic.